Peter Crouch has returned to the Premier League, with the 38-year old striker moving from Stoke City to Burnley in a deadline day deal which sees Sam Vokes move in the opposite direction. The veteran hitman, who moves to Turf Moor until the end of the season, has racked up 462 Premier League appearances in a fine career. Welsh international, Vokes, moves to Championship side Stoke on a three and a half year deal. We know he’s a good character and he still has a desire. The main thing for me is having motivated people. 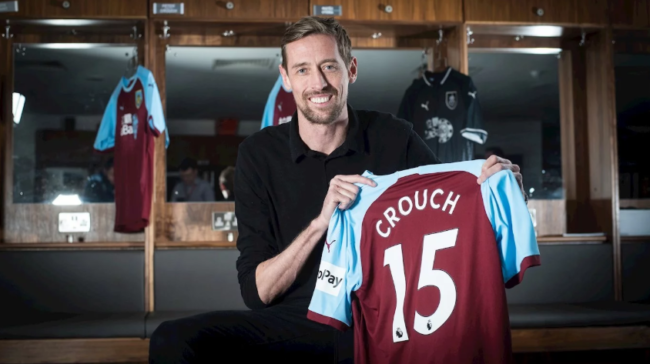 To announce Crouch’s arrival, Burnley posted a video featuring a robot in reference to the beanpole forward’s famous goal celebration. 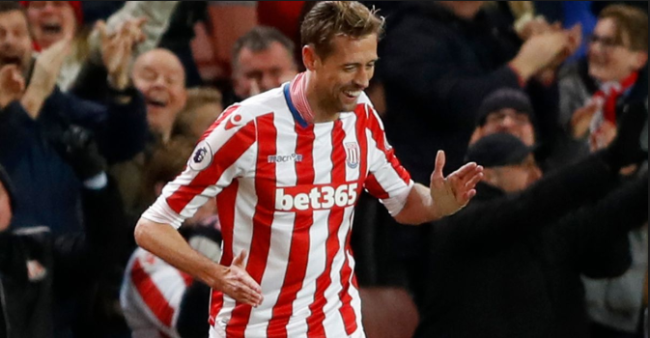 Crouch’s career has seen him play for the likes of Liverpool, Spurs and Aston Villa, with the striker currently holding the record for the most headed goals scored in Premier League history, at a whopping 53. He has also scored for six clubs in the Premier League so far, with only Craig Bellamy finding the back of the net for more. Whether or not Crouch can add to his goal tally and make a real mark in the Premier League at his age remains to be seen. However, it sure is good to have the affable chap back in the top-flight, at least for the rest of the season. There is lot more vintage soccer yet to come from the legendary Peter Crouch.